First and foremost I would like thank you for visiting our website and introduce our company, AJ Cleaning Services. 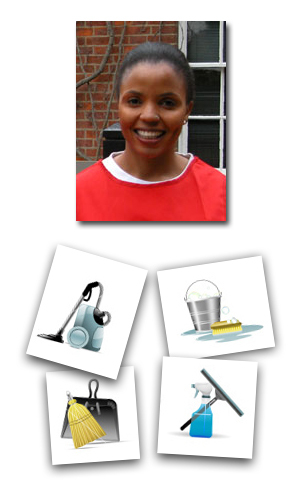 The company is a commercial cleaning firm based in High Wycombe, covering Buckinghamshire, Berkshire and Oxfordshire. Offering a friendly, professional and reliable service. We are very passionate about our cleaning and are interested in tendering for contract cleaning at any new developments that are being let out, or any existing sites where you feel the cleaning could be improved on. AJ Cleaning Services strives to go the extra mile, so you will be pleased with our cleaning service and the quality of our work. Please be assured that our bid is submitted to do the entire job every night. We do not cut corners or rush through the cleaning process. We take pride in our reputation and our quality of work reflects this. We have the ability to bring into your office the personnel and equipment necessary to be absolutely certain that whatever cleaning task needs to be done, is done on time, without compromise. AJ Office Cleaning's service agreement is based solely on performance for your behalf, and you will surely see the difference in your office. We do not claim perfection, but we promise pride, quality and perseverance. Since you are not bound to any contract, our only security is your day to day satisfaction. You will be pleased with the difference a professional service can make in the appearance and cleanliness of your office.